Step 1: Log In to your Pilates Anytime account. Step 2: Go to My Account > Preferences. Step 4: Scroll down to the bottom of the page, and click "Find Videos For Me". 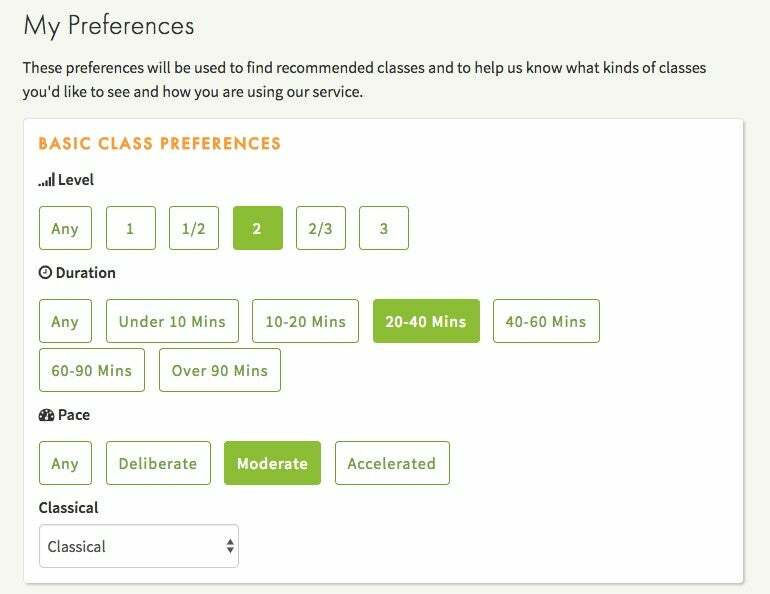 Once your preferences have been set, our system will choose recommended videos for you. You can find your recommended videos by going to Recommended For Me.